Drought-related tree mortality has become a widespread phenomenon. Scots pine (Pinus sylvestris L.) is a boreal species with high ecological amplitude that reaches its southwestern limit in the Iberian Peninsula. Thus, Iberian Scots pine populations are particularly good models to study the effects of the increase in aridity predicted by climate change models. A total of 78 living and 39 dead Scots pines trees were sampled at two sites located in the NE of the Iberian Peninsula, where recent mortality events have been recorded. 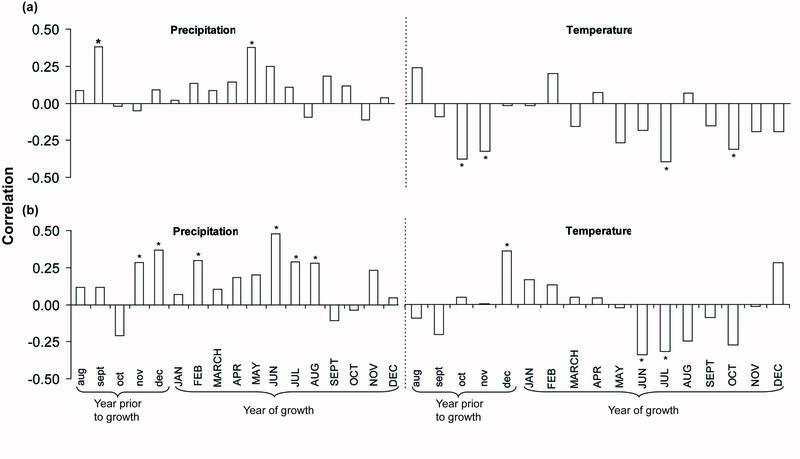 Annual tree rings were used to (1) date dead trees; (2) investigate if there was an association between the occurrence of tree death and severe drought periods characterized by exceptionally low ratios of summer precipitation to potential evapotranspiration (P/PET); and (3) to compare the growth patterns of trees that died with those of surviving ones. 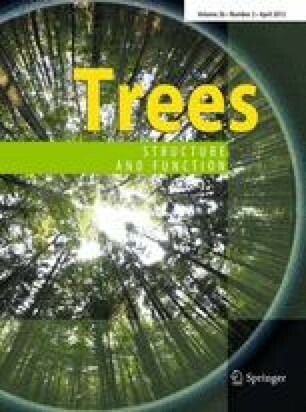 Mixed models were used to describe the relationships between tree growth (in terms of basal area increment, BAI, and the percentage of latewood, LW%) and climate variables. Our results showed a direct association between Scots pine mortality and severe drought periods characterized by low summer water availability. At the two sites, the growth patterns of dead trees were clearly distinguishable from those of the trees that survived. In particular, the BAI of dead trees was more sensitive to climate dryness (low P/PETsummer, high temperatures) and started to decline below the values of surviving neighbors 15–40 years before the time of death, implying a slow process of growth decline preceding mortality. The online version of this article (doi: 10.1007/s00468-011-0628-9) contains supplementary material, which is available to authorized users. We would like to thank Miquel Ninyerola and the Servei Meteorològic de Catalunya (SMC) for providing the climatic datasets used in this study. We are indebted to Dr. M. Mencuccini for field work and interesting discussions related to the study. Two anonymous referees are thanked for their thorough review and useful suggestions. Field and laboratory assistance of A. Vilà and M. Sabaté is very much appreciated. This study was supported by the Spanish Ministry of Science and Innovation via the competitive projects CGL2007-60120 and CSD2008-0040, and by the Spanish Ministry of Education via a FPU scholarship.